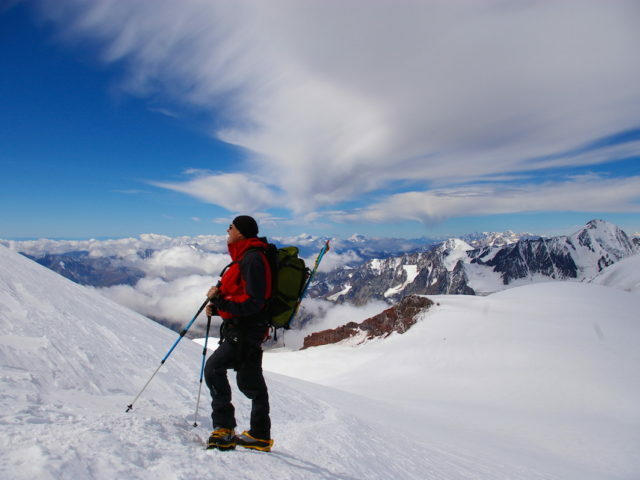 Climb Elbrus is an excellent option for having the first encounter with mountains. This climb is pretty easy and supported with comfortable conditions, and the lack of climbing experience will be compensated with the skills of a professional guide. You can climb Elbrus from four different sides. However, the Southern route is regarded the easiest among the existing. And for a reason: you don’t have to carry a backpack with food and fuel to the summit camp – you can transfer it via the cableway. You can use also the option of a snowcat ride on the summiting day rather than climbing 2000 m up. 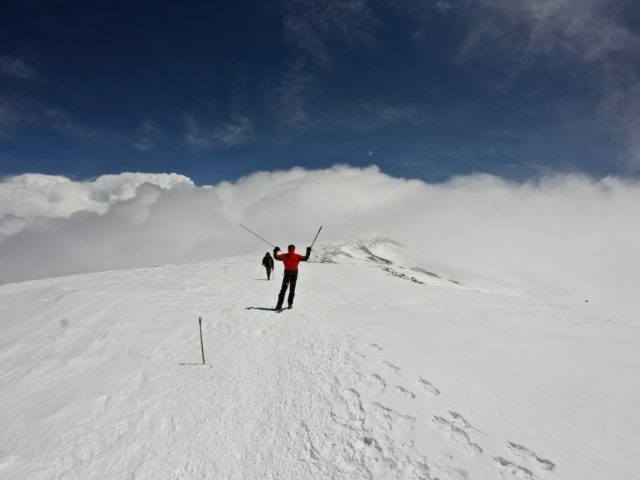 And those who want to diversify and intensify their Elbrus climbing experience can opt for the Elbrus Cross – a South to North traverse with summiting both peaks and two sides of the mountain. The only thing all these itineraries differ from each other is the summiting day that requires different logistics for every route. 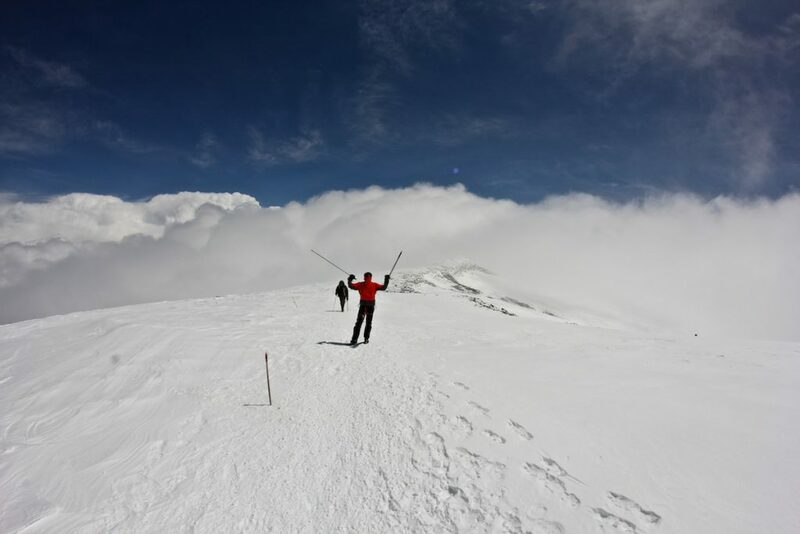 Climbing Elbrus from the North is not the best option for a first climbing experience. According to climbing rules, the summit camp should be set on Lents’ rocks – something that not every newbie climber is really ready for. Whereas seasoned climber can handle this North to South traverse especially if their Elbrus ascent is a training before more difficult climbs like Lenin Peak, Khan-Tengri, Muztag-Ata, Mount Blanc and others. 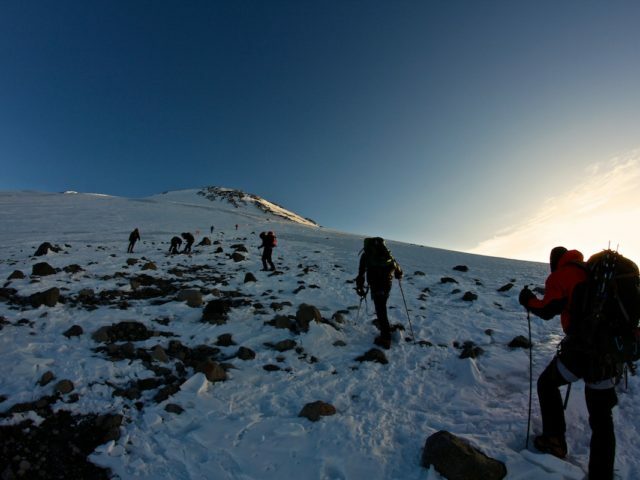 Elbrus climb from the East is even more challenging: climbers need to carry a several-day camp provision themselves as well as handle the numerous crevasses. This route implies an absolute autonomy for about 10 days – with no refuges and additional mechanical or infrastructural assistance. This assent rarely can be combined with descent by another route due to the difficulty of transferring the camp over and down the summit. The Elbrus Eastern route climb is more like mountain tourism than rock climbing. 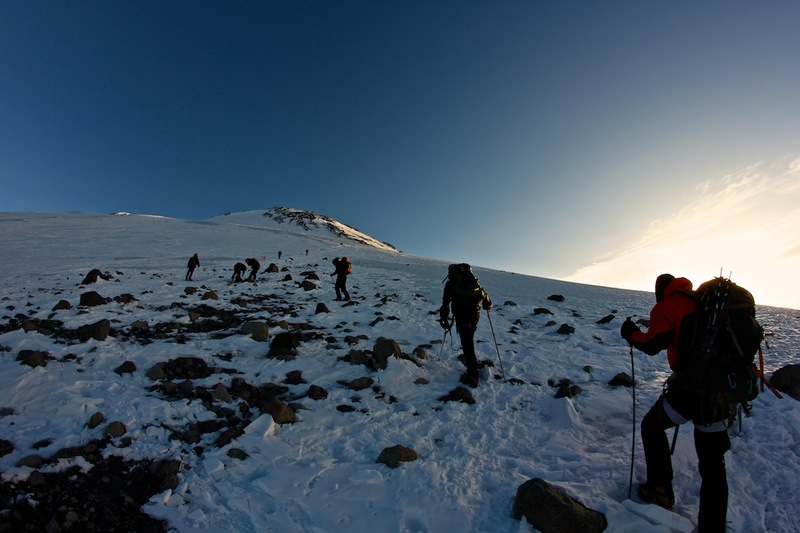 Elbrus ascent from the West is only for athletes with experience of 5000+ m climbs who master at least basic skills of rock climbing. This route offers a wide range of mountaineering challenges and is a good training spot for Denali, Matterhorn and Kenya ascents. If you are interested in more details that cannot be found on our website, please contact us and we will provide all the information you need. 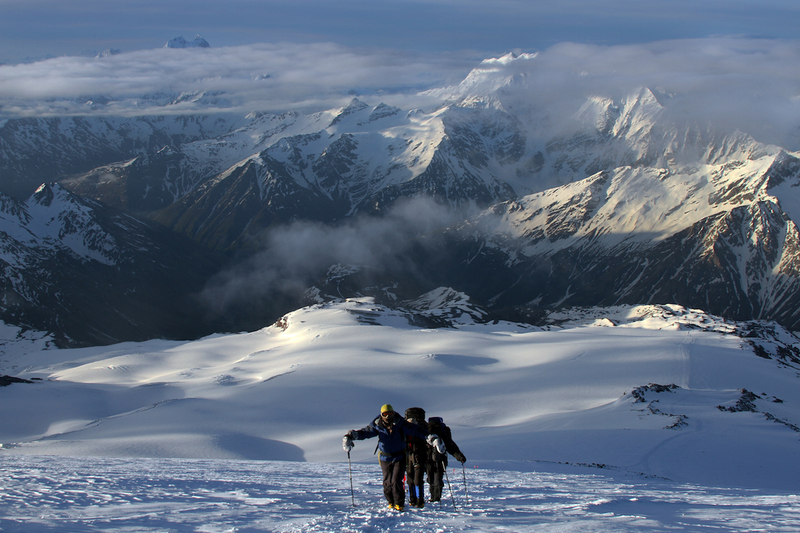 Climb Elbrus from the South, 9 days is the easiest way to climb Elbrus. Soft way of acclimatization, comfortable accommodation during the whole program, no need to carry a heavy backpack, and ability to use the snow cat on the ascent day makes this program very attractive for beginners. 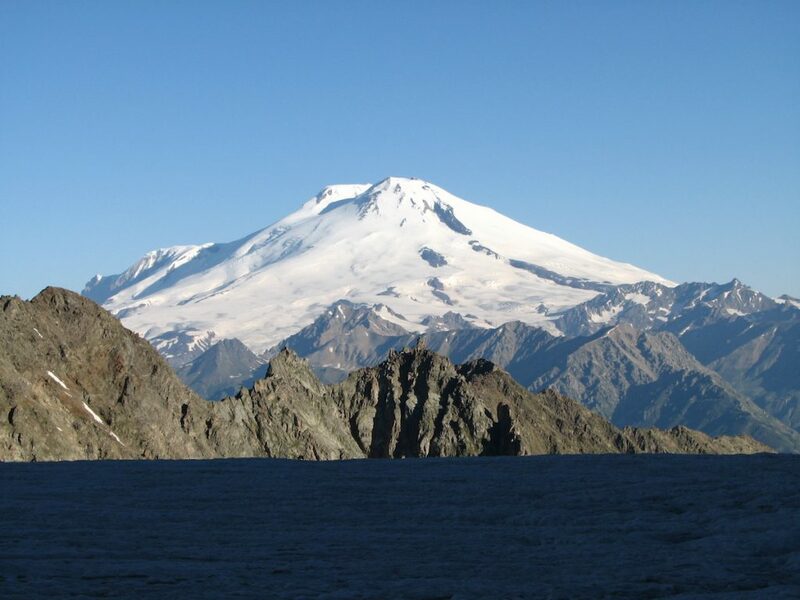 Elbrus stands in the South from Main Caucasus Ridge so you can enjoy the view on the snowy mountains from the very first days of the program. The average chance for successful ascent is above 90%. Climb Elbrus from the South, 7 days is a shorter version of the 9 days program of climbing Elbrus from the South for those who want to fit with dates in one business week. 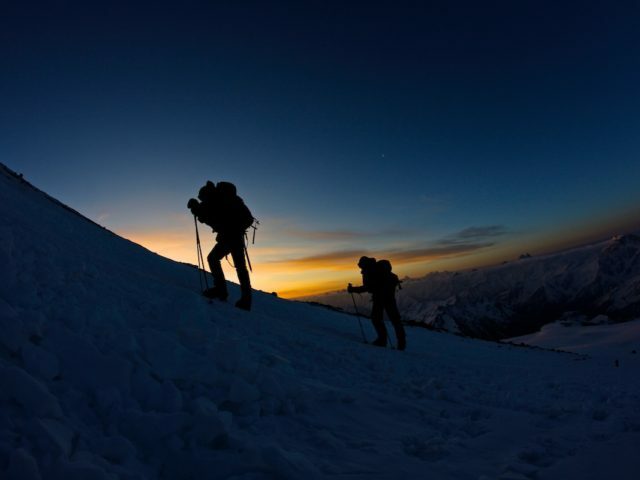 There is possibility of some uncomfortable feelings during acclimatization as well as during Elbrus ascent. Nevertheless, the successful ascent rate is equal to the longer version of the program. Elbrus traverse from the South to the North is expanded version of “Elbrus in 9 days from the South” program, which allows you to see Elbrus from both sides. Before the summit date the program is identical to 9 days program, but on the summit day you will have to carry in your backpack a little bit more things because your descent will bring you to the Northern side of Elbrus, where you have to be roped. Also it’s good to have jogging shoes with you for lower part of the route and moving back to the South. 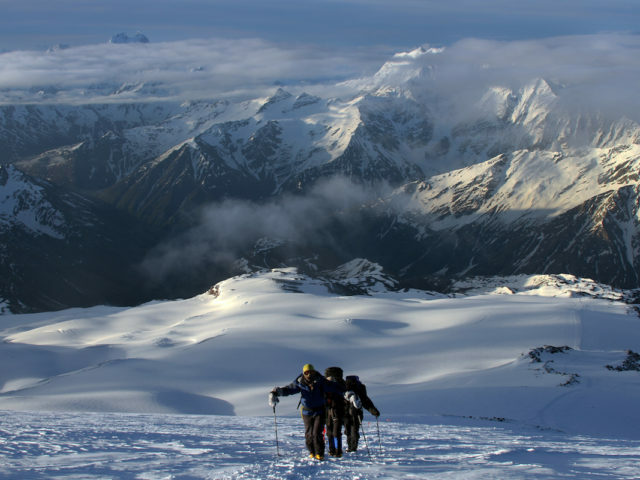 Climb Elbrus from the North is made to the Western peak of Elbrus along two routes – through Lenz rocks and directly to the saddle. The reduced version of Elbrus ascent from the North includes only an ascent to the Eastern peak of Elbrus (lower and simpler) through the rocks of Lenz. Climbing Elbrus from the North is gaining popularity, as a result of which the route is not wild at all any more. The developed infrastructure allows to provide comfortable accommodation (except for programs with an overnight stay on the Lenz rocks). 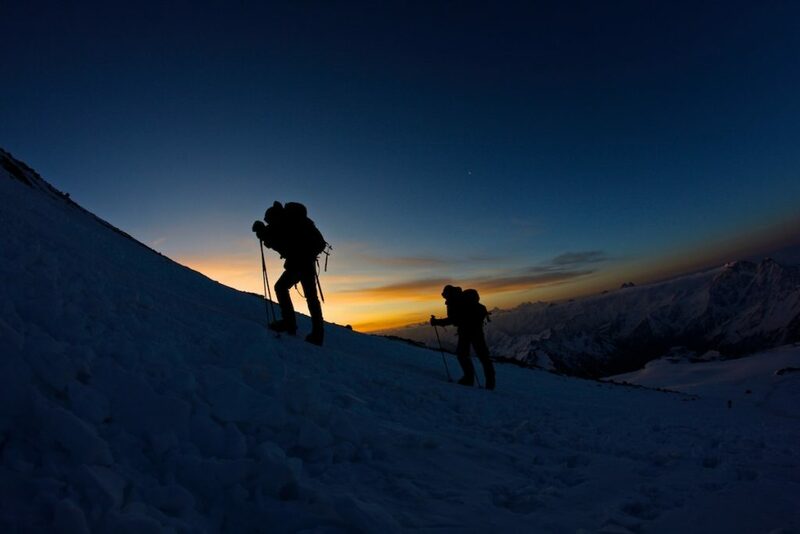 It is difficult for beginners, since on the day of climbing it is necessary to gain 2000 vertical meters, while on any other Elbrus routes and mountains of the world this figure is at least twice less. During acclimatization hikes you have to carry all your personal gear by yourself. Elbrus traverse from the North to the South is a complicated version of climbing Elbrus from the North program, which makes it possible not only to test yourself, but also to see both sides of Elbrus, as well as the mountains of the Caucasus during descent, since the northern side of Elbrus has a view of the Caucasus Mineralnye Vody plains. Accommodation conditions are quite comfortable throughout the program. The ascent day is very long. 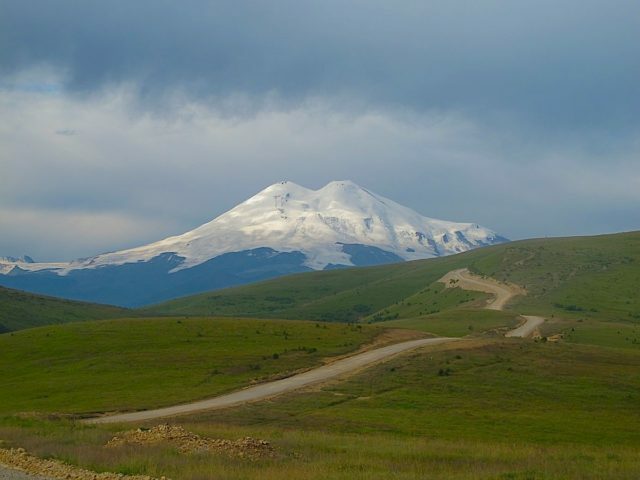 “Cross” of Elbrus supposes climbing on one slope, climbing both peaks of Elbrus and descent on the other slope of Elbrus – from north to south or from south to north. It is modified version of Elbrus traverse from north to south or from south to north. Usually it is more popular from south to north. The longest day of ascent among all programs. Elbrus by weekend is the fastest climb to Elbrus, which does not imply any acclimatization within the program. Perfect for those who are preliminarily acclimatized in other regions or those who want to experience their limits. 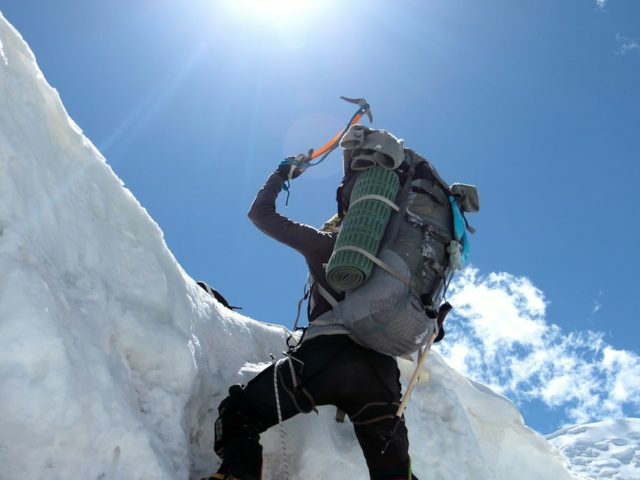 However, there are enough examples of successful climbs of non-acclimatized people with a previous climbing or sports experience. The program supposes excessive workload on the body. It is not recommended for any serious abnormalities of health or as the first experience of mountains, no matter how strong you seem to be. 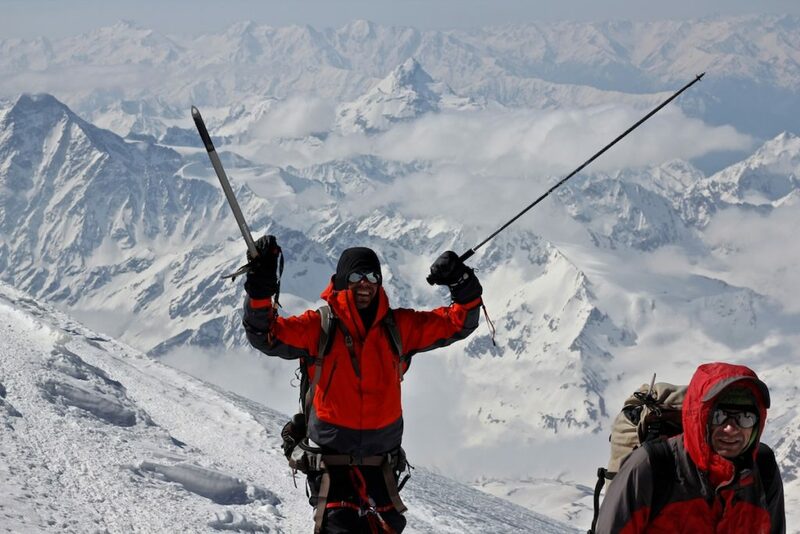 Climb two summits of Elbrus – Elbrus West (5642m) and East (5621m) – can be made within any program, still recommended to make it from the southern side after good acclimatization. Climb Elbrus from the East is a completely autonomous trek. 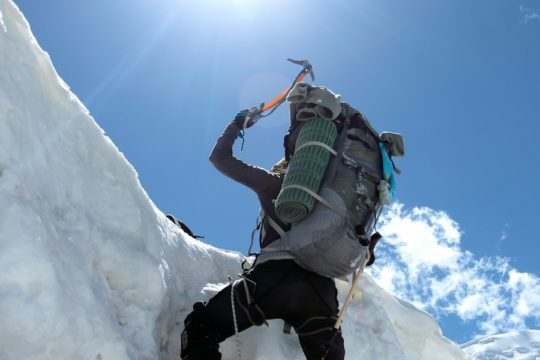 Experience in the mountains is needed, including the ability to carry a full backpack not only with personal, but also with public gear, to move around in the glacier lanes, and have good skills in self-retention. Absence of mobile communication and any signs of civilization throughout the program. Descent, as a rule, is along the path of ascent (not to carry the camp to the top). 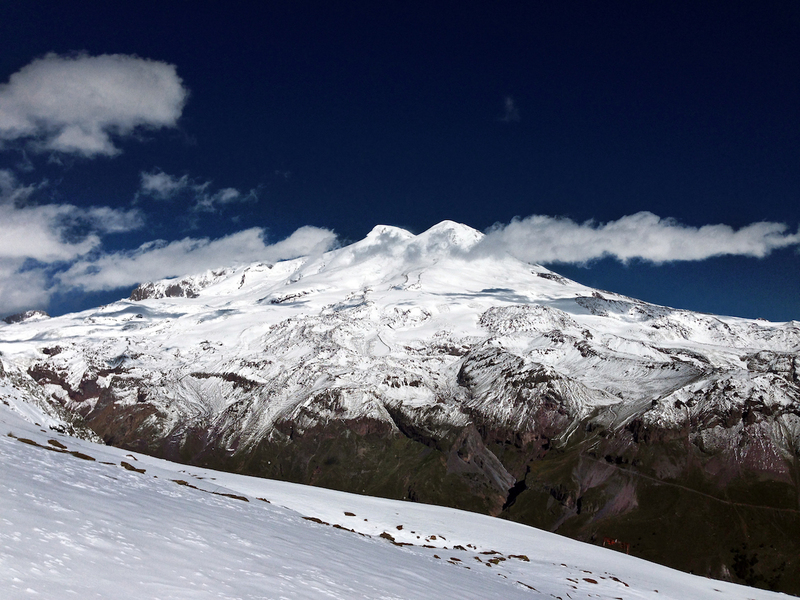 It is almost not possible to climb the western peak of Elbrus. 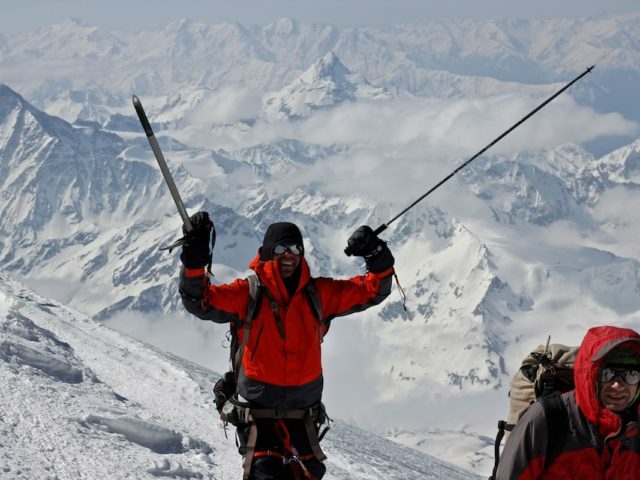 Climb Elbrus from the West is the most difficult route to Elbrus summit, quite a difficult and completely autonomous technical climb with no mobile communication and any help from outside. Preliminary experience in the mountains is absolutely necessary. 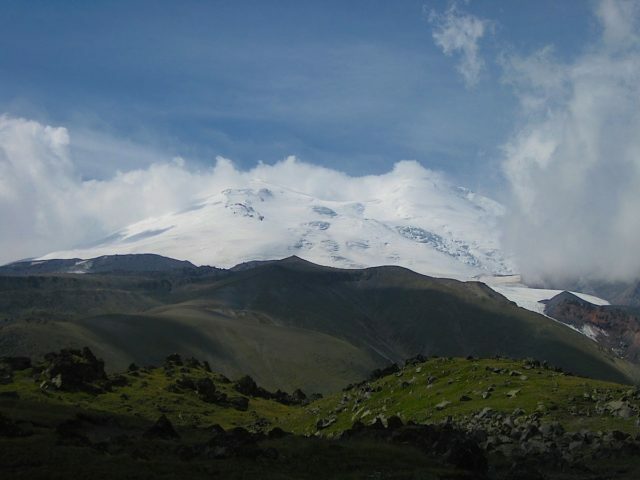 It is recommended as the second or third ascent to Elbrus.